Justice, political correctness and offending people -- what would Jesus do? In this week's news, it was reported that ESPN has removed Asian-American broadcaster Robert Lee from the Virginia football telecast because his name happens to be Robert Lee... you know, the same as the Confederate General Robert Lee. Defending their action, ESPN says they wanted to protect broadcaster Lee from all the "Robert Lee is marching into Virginia" jokes and memes he might suffer. Hmm. Methinks it has more to do with getting caught up in a culture where wanting to avoid offending people reaches the point of hysteria. As the Washington Post put it, "ESPN proves it is the worldwide leader in silliness." The American gospel desperately urges us to avoid offending people. What would Jesus do? Last week I spoke at Sanctuary about doing justice Jesus-style. Fact: Jesus did not desperately avoid offending people. Fact: Jesus was constantly saying things that offended people. Fact: If we removed all the offensive things Jesus said, we would be left with about three sentences of his teachings. Maybe two. Doing justice Jesus-style does not mean we take desperate measures not to offend people. It means speaking the gospel truth in love. And that usually offends people. It offends the status quo. It offends systems that thrive on oppression. It offends us when we justify and excuse actions of unlove. It offends us by telling us we are caught in a great prison house called "sin" and urges urges us to seek liberation through Jesus. It offends us when we think it's unbecoming of God to something like take on human flesh and die for the worst the human race has produced. That's right, God the Son died so Adolf Hitler might live. If we are not offended by that, it's only because we are too far removed from Auschwitz and Bergen-Belsen to feel it. How about we throw in Osama Bin Laden and the leaders of ISIS? Without offense, there is no Bible. There is no Christian speech at all. In a desperate attempt to avoid being a social media meme, ESPN has become this year's biggest social media meme. The church should be memed every time it shies away from the offense of its core message. Just one or two more posts on Mother Teresa. Her experience of spiritual darkness went on for some 10 years before she established a relationship with a spiritual director who could help her understand it. It became apparent that her feelings of being alone and unwanted by God were essential to her ability to fully identify with the rejects of society in Calcutta. They were unwanted; she felt unwanted in her most important relationship; therefore, she was able to enter into their suffering with full empathy. It also became apparent that Mother Teresa's feelings of isolation from God did not reflect actual separation from God. Because of the perpetual strength of her longings for God and her unwavering devotion to Him, her spiritual director was convinced that her feelings did not reflect the true state of her relationship with God. In other words, her relationship with God was intimate, but her emotions told her the opposite. I am working on a book chapter on humility, and as I was beginning the chapter, I realized that humility is pretty hard to define. And yet we tend to know when people are humble and when they are not. So I asked on Facebook, "How do you know when someone is humble?" The responses helped me clarify things in my mind on a couple of points. I'll quote a handful of the responses that consistently focused on two signs of humility. Humility involves a certain kind of self-forgetfulness. Humility liberates us from self-obsession and frees us to focus our energy on others. The humble person "goes unnoticed much of the time," and that's okay. 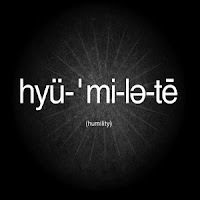 Humility means being willing to go unnoticed. This week the church has lost a great saint and a shining light. Dallas Willard succumbed to cancer. As John Ortberg says in a wonderfully written tribute, Willard was brilliant, but "his heart and his life were better than his mind." I thought it would be appropriate to bring out ten quotes that do a pretty good job of getting at what Willard spent his life teaching and working on. I have little hope of going to heaven. In fact, I don't even want to go to heaven. Why? Because if we mean by "heaven" the final destination for God's people, then heaven isn't somewhere we go at all. Heaven isn't up in the sky. Heaven is here. 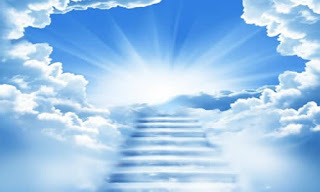 When we say "heaven," most people think it's the place you go when you die. You are with God and his people, and you live forever in eternal bliss. The trouble is, that's a half-truth. It's not the biblical hope. Imagine it like this. Say you are living in a house that has been your beloved home for a long time, but it has fallen into disrepair. The plumbing is bad, the roof leaks and the house is infested with termites. You have painted the walls, and you even bought new kitchen appliances. You love the house, but it needs extensive work. Do you have the kind of relationship with God that is like a married couple, including fights and spats? That’s the biblical, Jewish picture of a person who really knows God. At a certain point in life when I was dealing with some major disappointments, I came to the conclusion that it would be better to yell all my frustrations at God than go through a separation and live apart from him. That’s why I love this quote from Lois Tverberg and her quote of Peter Kreeft so much. Trust me, you’ll want to read to the bottom of this discussion of Job.